Mass Effect 3's cooperative mode "Galaxy at War" has been confirmed by Bioware. The publisher also says the mode will be unlocked after entering a one-time use "Online Pass" code found in each new copy of the game. 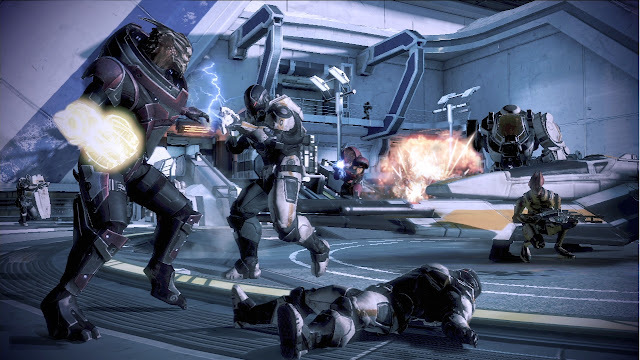 The code has been used in previous EA titles, including Mass Effect 2, which unlocked access to the Cerberus Network. The code can also be purchased separately, though a price point was not announced. “The theme of galactic war in Mass Effect 3 presents us with the perfect opportunity to introduce multiplayer into the Mass Effect series,” said Casey Hudson, Executive Producer of the Mass Effect series. "Join your friends in the all-out galactic war to take Earth back. The universe of Mass Effect expands with the addition of new co-op multiplayer missions, playable over Xbox Live, PSN and PC internet. Players can choose from a variety of classes and races, form an elite Special Forces squad, and combine their weapons, powers and abilities to devastating effect as they fight together to liberate key territories from enemy control. Success in multi-player will have a direct impact on the outcome of the single player campaign, giving players an alternative method of achieving ultimate victory against the greatest threat mankind - and the entire galaxy - has ever faced." This video below with Casey Hudson from Bioware shows how the multiplayer is a component of the campaign itself where achieving well in the mulitplayer will reflect in your overall story arc. Well that's what I got from it! Mass Effect 3 is the best place for us to introduce multiplayer through co-op because of the premise of the game - all out galactic war. The Mass Effect 3: Galaxy at War system is meant to complement that amazing game and we're excited we can give it to our fans as a bonus for those who want to experience Mass Effect in different ways. Commander Shepard's part in the war will take place in the single-player campaign, as will that of other beloved characters in the franchise such as Garrus, Ashley, and Liara...these characters do not appear in the multiplayer missions. In multiplayer, players will create custom characters to fight on different and unique fronts in the war. 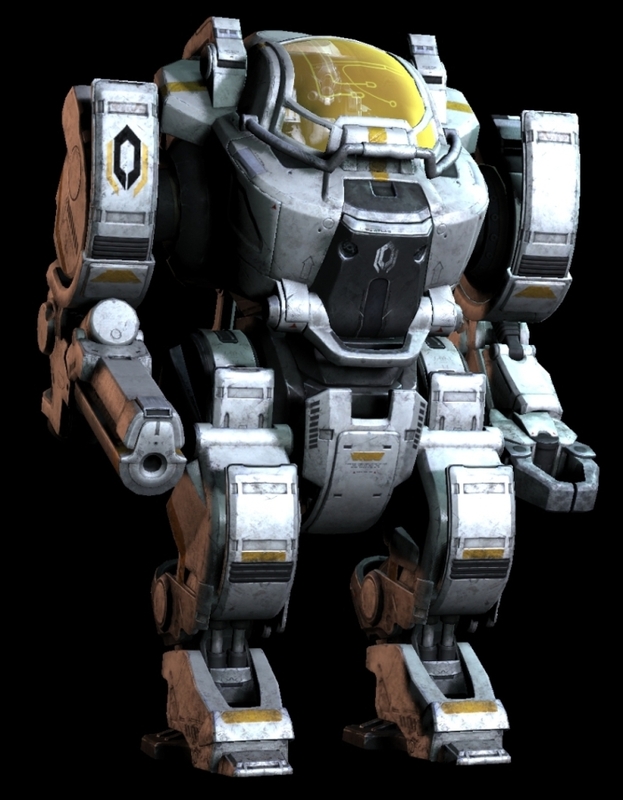 This will include the ability to play as favorites like Turians, Krogans, Asari and more... each with their own unique set of abilities. What if I don't like multiplayer - will my experience be negatively impacted? 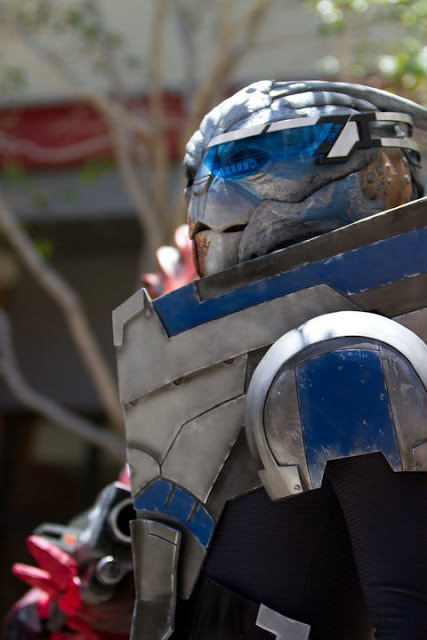 It's about choice, and allowing players to find their own ways to stay immersed in the Mass Effect universe. We can't comment on specifics right now, but can confirm that we are planning on having DLC for Mass Effect 3. Character progression, weapon upgrading and leveling up is present in co-op. We'll release more information on this topic in the months leading up to launch. Each component will be able to affect a player's "Galactic Readiness" level in a different way.